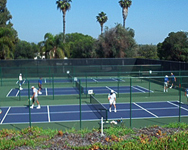 Tennis Court Supply doesn't just stop at tennis — we carry a selection of products for other sports, as well! We have what you need to set up a court for platform tennis, which is played on a smaller-sized court so everything is scaled down to the right size. 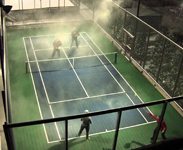 We also have court supplies for paddle tennis, including the highly-rated Putterman and Douglas paddle tennis nets. 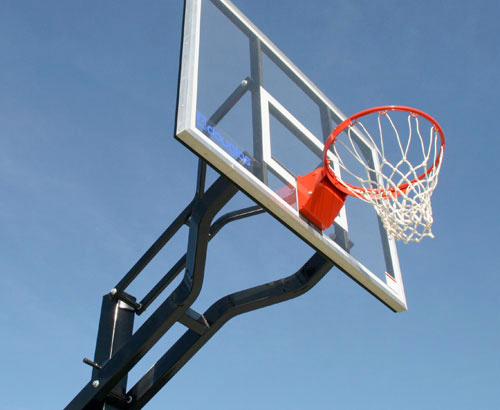 We carry basketball hoops and backboards suitable for your driveway as well as a professional gym or court. These professional-grade basketball systems are great for exercise, practice, or just playing around with family and friends. 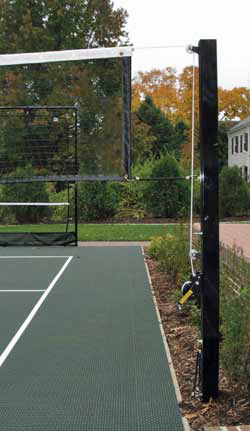 Volleyball supplies can also be found here in our catalog. We stock recreational and competition volleyball nets, as well as the pole systems and ground sleeves needed to set them up.